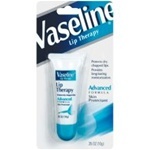 Our personal care Vaseline Petroleum Jelly products from Unilever keep things lubricated and moist. The new lip balms are excellent. Vaseline for your hotel guests and clients. Unilever Best Foods Vaseline Original Petroleum Jelly - 13 Oz. Unilever Best Foods Vaseline Baby Nursery Petroleum Jelly - 13 Oz. Unilever Best Foods Vaseline Original Pure Petroleum Jelly - 1.75 Oz. Unilever Best Foods Vaseline Intensive Rescue Moisture Locking Lotion 10 Oz. Unilever Best Foods Vaseline Intensive Care Total Moisture Body Lotion - 10 oz. Vaseline Intensive Care Aloe Spray - 6.5 Fl. Oz. Vaseline Cocoa Radiant Spray - 6.5 Fl. Oz. Vaseline Men Extra Strength Body Lotion - 10 Fl. Oz. Our personal care Vaseline Petroleum Jelly products from Unilever keep things lubricated and moist. The new lip balms are excellent. Vaseline for your hotel guests and clients.